Artist impression of Mah Sing’s Lagenda@Southbay project. Mah Sing Group Bhd managing director Tan Sri Leong Hoy Kum has big ambitions, and he's ready to articulate his aspiration for all who want to hear. First of all, he has a vision of making Mah Sing the next Cheung Kong Holdings of Malaysia. For the uninitiated, Cheung Kong belongs to Hong Kong tycoon Li Ka-shing, and is one of the largest property developers in Hong Kong. Like Leong, Li also started off Cheung Kong as a plastic manufacturer back in the fifties. Some may even judge this as being a little presumptive, but Leong wants to work towards being the proxy leader of the property sector in Malaysia. After chalking up more than 10 years of double digit growth, 39 projects ongoing and a remaining gross development value (GDV) and unbilled sales of some RM18bil, Mah Sing as a proxy leader of the sector might not be too far fetched a scenario. Meanwhile sources added that Mah Sing was close to concluding two en-bloc sales from its existing developments in the Klang Valley to a group of foreign investors who are keen to take a bet on the Malaysian property market. In the past, Mah Sing has concluded six en-bloc deals to both institutional and private investors. When asked by StarBizWeek, Leong says an appropriate announcement will be made when such developments take place. The title of proxy leader undisputably belongs to one company over the last decade. Mention property in Malaysia, and the first company that springs to mind is S P Setia Bhd. And, of course, everyone knows S P Setia is what it is today thanks to its leader Tan Sri Liew Kee Sin. While Liew's Midas touch is growing in its efficacy, much of the company belongs to Permodalan Nasional Bhd (PNB) which made a general offer for S P Setia last year. Today PNB owns some 70% of S P Setia. The takeover has seen S P Setia's sector leadership being increasingly discounted, and this is evident from its share price. While Liew continues to steer the company for the next three years, his ownership in the company has been reduced to 5.65%. So here comes Leong, who is focused on steering his company towards pole position by taking the approach of being a professionally-run company with an entrepreneurial spirit. Mah Sing has delivered every quarter in terms of sales and profits over the last 10 years. As it stands, Mah Sing has a market capitalisation of more than RM2bil, putting it in sixth position. Leong is targeting Mah Sing to have a market capitalisation of RM5bil in the next 3 to 5 years. “I have worked very hard over the past 18 years as I want to leave behind a legacy. We are building the company to be the next proxy of the property sector, by being the premier lifestyle developer that can be counted upon to deliver the results and the quality that is associated with the Mah Sing brand,” says Leong. As Malaysia's second biggest listed property developer by sales value, Mah Sing has the credentials for these ambitions. Up to June 30, 2012, the company has achieved sales of RM1.29bil, which is also 52% of their 2012 RM2.5bil sales target. It has unbilled sales of RM2.69bil and a cashpile of RM555mil. For the first half, net profit was up 42% to RM120mil on the back of a 25% improvement in revenue to RM913mil. 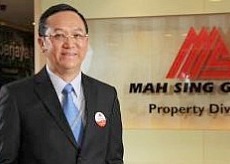 From 2002 to 2011, Mah Sing has enjoyed a compounded annual growth rate (CAGR) of 47% on net profits. Housebuyers who purchased Mah Sing homes, especially its landed properties, have also seen capital appreciation of more than 50% over a three to four year period. 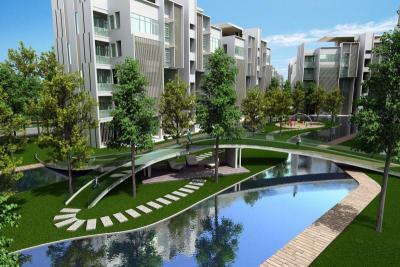 For instance, Aspen and Clover @ Garden Residence in Cyberjaya has a resort lifestyle concept with lots of lush greenery. Clover@Garden Residence for example, is set upon a hillslope and for home owners, so it is virtually having a mountain beside one's home. 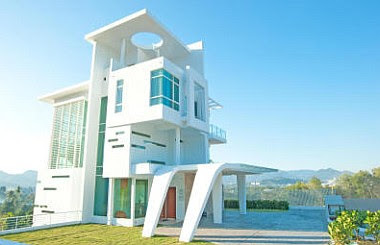 Ferringhi Residence involves condo villas and resort condominiums. For its upcoming Ferringhi Residence in Penang which also offers the same concept but with an ocean view, registration has currently reached a cumulative 2,787 units, out of total units of 210 units. Its M Residence in Rawang has seen registration of 2,509 units out of actual units of 779, for its linked units. Its semi-dees have seen registration of 891 units out of actual units of 68. It is with these statistics that Leong's conviction to achieve his sales target of RM2.5bil for 2012 has been further strengthened. “If we buy the right land, offer the right product and right concept and launch at the right time, then I am very sure that my developments will sell. Property development is a cashflow game. You have to manage that well. To have a quick turnaround, we must target the right segment,” says Leong. In 1994, Mah Sing was a fledgling property developer that started off as a plastic manufacturer, foraying into the development of an industrial park. Mah Sing can today boast of a remaining GDV and unbilled sales of RM18bil in Penang, Johor, Kota Kinabalu and the Klang Valley. Over the past four years, Mah Sing has also bought over RM1bil worth of land with about RM12.6bil in GDV. It is still reasonably geared at 30%, well below management's target of 50%. The company is known for its small, niche and fast turnaround developments. Previously, the company never owned a single parcel of land bigger than 400 acres. Its strategy was always to roll out what buyers wanted and at the right location. So moving forward, what is Leong's strategy? For starters, he's expanding Mah Sing's township portfolio. Mah Sing has been developing townships since year 2000 in both Klang Valley and Johor Baru. Projects like Garden Residence in Cyberjaya, Kinrara Residence in Kinrara, M Residence in Rawang and Sierra Perdana in Johor are mixed townships which have been received good take up rates. So now, Mah Sing is venturing into bigger acquisitions to meet market demand. This is already evident in the sizes of land it has been buying of late. While its two projects in Rawang is about 400 acres, its Bangi land which will house its Southville City development is over 400 acres with a GDV of RM2.2bil. Mah Sing will also bid for the Rubber Research Institute Land in Sungai Buloh, where it is hoping to get a bigger portion from the carved out parcels. When asked for his outlook on the property market, Leong says he is selectively optimistic, especially on the middle income market. “We have to tailor our property products to the needs of the market. From what I can see, mid to high end developments will still be in demand if they are in good locations. I am still bullish on certain market segments, For example, the market wants landed properties. Buyers don't mind driving 15 minutes to 30 minutes to work, as long as they have a good sized link house, semidee or a bungalow. That is why my Southville City and M Residence in Rawang will cater for this need. Landed properties for the middle income group,” said Leong. On this note, he will continue to focus on linked houses in a gated and guarded concept priced below RM1mil. Leong is extremely excited over the launch of Southville City, as this sizeable land will provide housing which is within the reach of many middle income earners in the Southern part of KL. Southville City has prime frontage of 2km along both sides of the North South Highway, providing value enhancing branding opportunities for project. Mah Sing is planning to seek approval from the government for a new interchange on the North South Highway just 2.5km from the existing Bangi interchange to allow direct access to Southville City. Currently, registration for Southville City has reached close to 2,500 registrants. Leong sees Southville City changing Bangi. He feels that presently, despite the rising trend of urbanisation, locals are largely underserved. It is on this note that the township of Southville will comprise of landed residential units, and some 30% of the landbank will be allocated for commercial properties. Leong is targeting the upgraders and new buyers from Bangi and surrounding townships of Kajang, Semenyih, Putrajaya, Cyberjaya, Nilai and Seremban. Leong adds that for serviced apartments, there is demand for units between 500 and 700 sq ft. This was especially popular among new household formations and singles. “Nowadays people buy properties to match their lifestyle. Property is acknowledged as the best hedge against inflation, and people buy properties as a form of wealth preservation and not speculation,” said Leong. Let’s say one morning you wake up and realise that, yes, buying your first home is the right thing to do for yourself. You’re tired of throwing away money on rent and figure that it’s time to get into a home of your own. In most cases, first-time home buyers would opt for apartments due to convenience and the abundance of choices in accordance to one’s budget. Apartments enjoy a reputation synonymous with city living, stylish open-plan space and great views. But choosing and buying an apartment can be an arduous task (or maybe it was just me), and there are plenty of things you need to think about at each and every stage of the investment process. This guide is what I put together to help highlight those key points you need to be thinking of at each and every stage of your quest for the perfect apartment. It was what I used to consider my purchase. Spend some time thinking about the kind of apartment you’re looking for. This will help you narrow down your options and enable you to determine some ‘must haves’ in your apartment choices. * Location, location, location! - Narrow down the areas that you are most interested in living in, and make a list of these locations. Similarly, make a note of all the areas you definitely don’t want to live. This way, property agents will know immediately which properties to offer and which to discard. This process narrows down your search and save you time when viewing. * Money matters - Consider your finances carefully and decide on a maximum budget – narrowing down your search field in this way will ensure that you only view properties you can afford. Don’t forget to bear in mind your income and outgoings – factoring in not just the monthly payments, but the apartment’s montly service charges as well. * Space - How much space will you need in your apartment? How many bedrooms? How big a kitchen? Do you need an office? * Style - Studio apartments merge all your living space into one area, while open-plan design means that your kitchen, dining area and living room will be contained in one open space. Do you want separate rooms within the apartment? Would studio living be too cramped? For me, I had to give up on the idea of an open-concept kitchen mainly because I placed top priority on my apartment’s location and the apartment that suited my budget did not have an open-concept kitchen. * Specifics - Are there certain criteria on which you are unwilling to compromise? Do you want wooden floors? High ceilings? An open-plan design? Designated parking spaces? In my case, besides the location being a priority, I wanted to have the smallest room in the apartment to be right next to the master bedroom. That way, I would be able to hack the wall to create an opening for my walk-in wardrobe. It would be pointless for me to look at layouts where the smallest room would be at one end of the apartment, and the master bedroom be at the other end of the apartment. The middle room would be too big to house my wardrobe and the smallest room would have been too small for my guest room and office. 1. Noise - If you’re seriously thinking of investing in a particular apartment, take the time to research those living above and below as well as next-door to your property. A week into your new apartment-life is not the time to discover a neighbour’s penchant for heavy metal or playing the drums! 2. Accessibility - Take a minute to think of those who will be visiting you at home – are there people for whom access could be a problem? Is there a functional lift for older visitors or family? 3. Outside Space - One of the sacrifices of apartment living can be the loss of outdoor space. I’m not so much of an outdoors person, but I made sure the apartment I purchased had a reasonably-sized balcony. 4. Pets - If you have pets, consider them in your property search. This can be a major consideration for those wishing to move into an apartment, as you must be fair to both your pets and your neighbours. Is your dog’s barking likely to irritate neighbours? Will you be able to give the pet adequate fresh air and exercise? When you’ve found an apartment you’re really keen on, you may want to ask around people who live there or nearby to ensure there are no hidden problems which may affect your interest. These efforts in research goes a long way in giving you peace of mind, should you finally decide to put in an offer, and can help you to avoid making an unsound investment. I was passively looking at properties and being indecisive for three years before making a choice and sticking to it. Can you afford a house now? Assuming you can afford a house, how much can you afford to pay? These are important questions that many people do not research. This oversight can lead many people to bad debt and even bankruptcy. Your monthly expenditures will be more than just the housing loan. There will also be insurance, electricity, water, telephone bills, contributions to maintenance fund, medical bills, groceries, unexpected household/auto repairs, lunch money and many other obligations. They must all be accounted for in your budget spreadsheet. For many of us the purchase of a house or property is the largest financial commitment we will ever make. This makes arranging the most suitable housing loan just as important. Make sure you know the costs of entering into the loan for the purchase of the property. They include conveyancing, application fees, valuation and legal fees, mortgage insurance (if necessary) and sometimes, extra life insurance premiums. Some lenders will tell you the advantages of whatever housing loans they are trying to squeeze you into, but rarely will they tell you the disadvantages. According to an article in a business magazine, the banking system is flush with RM180bil liquidity. This explains the increasingly aggressive sales promotions undertaken by financial institutions for the housing industry. Always look at the total deal, not some dangling carrots in front of you. Compare the entire housing loan cost of different lenders to determine which is best for you. I would like to discuss some of the lenders' offers that may not be as attractive as they appear. I will start with the special low interest offered for the first year. Such an offer is usually given during a sale campaign and it usually carries a fixed calendar period with a run-out date. Thus, even if a house buyer commenced his application process immediately upon the launch of the campaign, by the time the loan is approved and disbursement commences, the period remaining to enjoy this special low interest rate will certainly be less than one year. If he were to start the application process a few months after the campaign, it is likely that he will enjoy the special low rate for only a very short period. Due to our unique system of progressive payments to the developers, the mean average of the amount disbursed by the banks during the “first year low interest offer,” is really lower than the loan amount. Thus, any saving on interests is really much less than it seems. And these have all been figured out already by those marketing experts in the banks. A more sincere approach would be to offer the special low interest rate to apply during the progressive payment period and to continue to run for one year after the date when the loan is fully disbursed. Only then can such offers bear some element of sincerity. I believe that anything short of that makes the offer a sales marketing gimmick. There are other clauses that put house buyers in a disadvantaged situation. Some lenders include clauses in the loan agreements that give them the absolute rights to alter both the Base Lending Rates and/or the margin of interests. One cannot make a special low interest offer in the sales campaign and then contractually (through the loan agreement) creates a clause to allow that special offer interest rate to be invalidated. Make sure you know all the costs of early discharge of the loan. One other clause to look out for is the redemption of the loan. A house buyer may wish to sell the house and wished to fully-settle the loan. This is where the conditions for full-settlement differ from one financial institution to another. Think long term. When one takes a loan, one spends a much longer period servicing the loan beyond the first year or even the second and the third year. So do not be taken in by the very attractive offers during the honeymoon year/s of the tenure of your loan. Remember, the remaining of the 25 years is more important. Do not go for short-term gains only to lose out heavily on the long remaining years. I would advise house buyers to look beyond the first year of so-called low interest when shopping for housing loans. With the stiff competition among the various lenders today, one should seriously shop around and scrutinise each and every offer before commencing the application process. Talk to your bankers, lawyer friends or seek advice from the National House Buyers Association. One really has to scrutinise the fine print before making a decision as to which financial institution to go to for a loan. It is about time to standardisde the terms and conditions in the loan agreement so that there will be orderliness in the banking industry. No more “embedded” clauses within the voluminous stakes of papers one has to initial giving the impression that one has truly read and understood them. It is obviously impossible to read and understand those 40 over pages of legal language that comes with appendixes. Making housing affordable, avoiding a property bubble and ensuring there is no over or under development are some key issues. FOR the vast majority of people property means getting a respectable roof over their heads with proper amenities in a decent neighbourhood, and getting it affordably. For others, it is about getting a second or third property or more for the sake of investment – a good return eventually for the price they paid and as a hedge against inflation because property prices mostly continue to rise in the long term much faster than inflation. The most sophisticated of them don’t just restrict their investments to the residential market but dabble as well in commercial and industrial space such as shops, offices and factories, wherever they may be located. Socially, there has to be regulation of property development not only to ensure that it is done up to certain standards but to ensure a proper mix between the various kinds of development such as residential, commercial and industrial and the various segments within these broad sectors. It would be a mistake to micromanage however and within broad guidelines, it is often best to leave it to the market place to adjust things. But it does take a long time for things to adjust in property because of the gestation period before a property can be brought to market. Ideally, property development should take place under the aegis of a broad master plan which has been formulated after intense study and research, taking into account projected population growth and other demographics. It should be dynamic to take into account changes. Unfortunately we don’t stick to a plan in terms of development and even when there is a master plan it is often overruled by those in authority for other reasons which are often not compelling from an economic viewpoint. In residential development, the greatest challenge is, of course, providing decent housing at affordable cost to the vast majority of the population. Unfortunately that is also a function of income – if people are poor, they won’t be able to afford nice houses no matter what. But we are a middle-income country and we can do some things to keep prices of properties within reasonable levels. The best gauge of that is in relation to our own income level instead of making comparisons with countries with much higher incomes (eg Singapore) or those where special situations make property expensive (eg Mumbai). Prices are always a function of demand and supply. Some moves simply increase demand, often without a fundamental increase in demand for actual occupation. Opening up property purchases to foreigners often result in a spurt in demand at the time of sale but properties may not get occupied. Look at some high-end properties in Mont’Kiara and around the twin towers area in Kuala Lumpur for illustration. Also, making a leveraged property purchase easy encourages property speculation. If you pay 5% down and if your next payment is two years later and if the property appreciates just 10%, you have made 100% (before transaction costs) in two years or 50% a year roughly. That is powerful incentive for speculation, creating an artificial demand that can collapse two years out. To curb such kinds of speculation which lead to temporary surges in house prices and a potential bursting of the bubble in future, it will be necessary to curb foreign property purchases and easy financing schemes. Meantime, the state and federal governments and their agencies must be more circumspect about handing out their landed assets to developers at very low cost to develop. Developers naturally want to maximise their returns and high-end, high-density properties offer the best returns. Instead governments and their agencies should develop a master plan for the land they have and allocate the areas meant for low-cost, medium and high-end residential as well as commercial and industrial. Then they can invite the developers to bid for the parcels they will develop. All that would take a lot of work, yes, but nothing worthwhile comes without proper effort. Examples to emulate for low-cost to medium-cost housing might be the Singapore Housing Development Board which has strict criteria for purchase of property, resale and standards. Examples not to emulate would be Singapore again which has adopted a free and unfettered stance as far as sale of property to foreigners is concerned which has priced high-end property beyond the vast majority of Singaporeans to become the domain of multi-millionaires. Incidentally, this is one of the major complaints of Singaporeans who otherwise have little to complain about in terms of economic development and living standards given their tiny space and resources. That has been reflected in voting trends too, leading the government to descend from its mighty perch of “I know it all” to re-examine its policies. In commercial development, the trend in Malaysia has been to cramp it all in as little space as possible to maximise development profits. Abetment comes from authorities who give approvals with little or no thought of proper planning considerations such as availability of parking, public transport and whether it will cause congestion. Many developers are willing to take the plunge into commercial development because of high profits. The danger of over-development is the greatest here, especially with plans to set up a new financial district called the Tun Razak Exchange, which will result in plenty of commercial space coming on stream in Kuala Lumpur city. Developers in this area have been granted tax exemption which will cause market distortions by giving them an advantage over others. Under the circumstances, authorities have to be extra-vigilant to ensure that there are no untoward pressures on the property market, both in terms of a boom or a bust. Speculation and ill-considered development can cause a volatile, mercurial mix which if it explodes can cause years of agony. Better a sensible, more stable brew that stands the test of time and ages gracefully. P Gunasegaram (t.p.guna@gmail.com) is an independent consultant and writer. He believes strongly in the old adage that prevention is better than cure. AS one drives along the Kesas Highway heading towards Klang, new townships are being developed closer to Klang town nowadays, leveraging on the popularity of other townships that have emerged over the years. The development of Kota Kemuning by Hicom-Gamuda Development Sdn Bhd, which is the nearest to Subang Jaya, started about 20 years. Bandar Puteri Klang by the IOI group and Bandar Botanic, also by Gamuda group, were other townships that were launched subsequently. Much of the growth along the Kesas corridor came about because of access. Today, as one drives further, one will see a lot of signboards promoting upcoming projects. After the turn off at Banting, there is the newly-developed Bandar Parklands by the WCT group. The Island and Peninsular group and other developers are also there. Johor-based developer KSL Holdings Bhd has also set its sight in the vicinity. Khoo is the son of managing director Michael Khoo whose brothers are also holding positions in the company. Canary Garden is a 446-acre development near WCT's Bandar Parklands and fronts Jalan Langat which provide direct access to the Kesas highway. There is a 2km river or stream cutting across it, dividing the land in half. Under state laws, all rivers, streams and drains are state land, which means there is a buffer on both sides of river that cannot be developed. The 446 acres exclude this 50 acres which the developer will landscape. KSL head of marketing Chris Fong says the company will landscape an additional 50 acres on the 446 acres in order to add value to the properties in that development. The plan is to use the river as a natural border which separates the landed units totalling about 1,300 from the commercial area of about 90 acres. Cluster homes were launched at just below RM1mil a few months ago while semi-detached units, with and without lifts, are priced from RM1.3mil. The commercial area will occupy up to 90 acres and will have a gross development value of about RM3bil, Fong says. The plan is to have a three-storey linear mall with internal and external retail space and al fresco dining along the riverside with a total gross area of over eight million sq ft with a plot ratio of 1:4. KSL developed the KSL City Mall in Johor Baru opposite Holiday Plaza which comprised a hotel and serviced apartments. The same template will be used here. This time, seven blocks of serviced apartments of 28-storey will sit on top of the mall. There will also be a hotel, a few schools and a tertiary education block. He says the idea is to make the place self-contained. In addition to the proposed 1,960 serviced apartment units, condominiums and other commercial blocks encircle the entire project. Fong says Canary Garden is not a strata development, but there will be a perimeter fencing around it and the units will be individually titled, which means there is room for renovation. There will also be a monthly security charge of RM250 per household which the developer will bear in the first 24 months. The owners have the option to employ their own security from the third year onwards. Monthly charges may vary. The local authorities will upkeep the place. The maintenance charge of the serviced apartment has not yet been determined. The plan, he says, is to have several thousand housing units comprising mostly high-rise projects on that 446 acres. Fong says the company is not building a gated and guarded landed community because residents will have to form a joint management body. An agent from Reapfield says landed units are currently more popular than high-rise projects, because there is an abundance of land in Klang. While Canary Garden is easily assessible from the Kesas Highway, in time to come, more townships will be developed fronting Jalan Langat and congestion may be an issue, the agent says.